Cecil King, the son of Sir Lucas White King and Geraldine Harmsworth, was born on 20th February, 1901. His mother was the sister of Lord Northcliffe and Lord Rothermere. King was educated at Winchester and Christchurch College, Oxford. After university, Rothermere, employed his nephew on the Glasgow Record. This followed by a period working for the Daily Mail before joining the Daily Mirror in 1926. A colleague described him as: "King was 6 feet 4 inches tall, a commanding, burly figure with penetrating blue eyes, a quick smile, and, in later life, abundant grey hair." King was made advertising director of the Daily Mirror in 1929 and when Lord Rothermere disposed of his shares in the organisation in 1931, he began to assert a growing influence on the political direction of the newspaper. With the support of H. G. Bartholomew, the editorial director, and the Richard Jennings, who was employed to write the editorials, the newspaper moved to the left. Jennings took a keen interest in foreign affairs and his lucid editorials helped to explain to the readers the dangers being posed by Hitler's regime. On the advice of King, H. G. Bartholomew, decided to make the Daily Mirror a tabloid newspaper. Bartholomew, who hated the arrogance and snobbery of the upper classes, encouraged the editorial staff to develop an anti-establishment tone. Bartholomew also employed radical journalists such as Hugh Cudlipp and William Connor, who wrote under the name of Cassandra. King later explained: "I would say that on editorial policy Hugh Cudlipp and I, who have been directors together for very many years, work closely and are in general agreement on what sort of line we are going to take. I suppose I see him very nearly every day, and if anything fresh crops up we decide what we are going to do, but I very rarely see the editors. He sees the editors and the editors are responsible to him." In 1951 King replaced H. G. Bartholomew as chairman of Daily Mirror Newspapers Ltd. King and Cudlipp ensured that the Daily Mirror remained a loyal supporter of the Labour Party. Now established as the newspaper of the working-classes it became Britain's best-selling newspaper and on the morning of the Queen Elizabeth's coronation in 1953, sold over seven million copies. King became chairman of International Publishing Corporation in 1963. In 1965 he became a part-time director of the Bank of England. He was also a part-time member of the National Coal Board (1966–9) and a member of the National Parks Commission (1966–9). King also thought he should become a member of the Harold Wilson government. King's biographer, John Beavan, has argued: "King felt that what he believed to be his special gifts as an administrator might be put at the service of the nation when the inevitable catastrophe came. He tried, at the dinner parties he gave in his ninth-floor suite in the Mirror's glass building, to persuade other business leaders that there would have to be an emergency government containing men like themselves. King feared there would be hyperinflation and even bloodshed in the streets. Cudlipp and his political executives had a hard time keeping this nonsense out of the paper. They tried in vain to convince King that, though the government deserved criticism, his fears were wildly excessive." 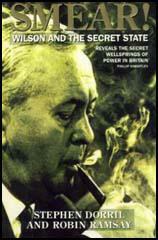 In 1968 King became involved with Peter Wright of MI5 in a plot to bring down the government of Harold Wilson and replace it with a coalition led by Lord Mountbatten. Wright claimed in his memoirs, Spycatcher (1987) that "Cecil King, who was a longtime agent of ours, made it clear that he would publish anything MI5 might care to leak in his direction." According to Stephen Dorril and Robin Ramsay, the authors of Smear! 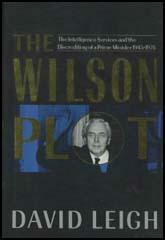 Wilson and the Secret State (1992): "King then delivered a version of his preoccupations at the time - approaching economic collapse and ineffective government, with a Prime Minister no longer able to control events. Public order was about to break down leading to social chaos. there was a likelihood of bloodshed in the streets." At this point Zuckerman got up and said: "This is rank treachery. All this talk of machine guns at street corners is appalling." He also told Mountbatten to have nothing to do with the conspiracy to overthrow Harold Wilson. John Beavan has pointed out: "In his retirement he wrote articles for The Times, and produced his autobiography and diaries. The diaries further injured his name because many people felt he had betrayed their confidences.... King retired eventually to Ireland with Dame Ruth Railton (1915–2001), musician and founder and musical director of the National Youth Orchestra." Cecil King died on 17th April 1987 at his home, The Pavilion, 23 Greenfield Park, Dublin, on 17th April 1987. (1) On 26th June 1961, Cecil King was interviewed by the Royal Commission on the Press on how editorial policy of the Daily Mirror was decided. 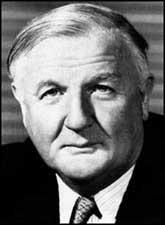 (2) On 26th June 1961, Hugh Cudlipp was interviewed by the Royal Commission on the Press on how editorial policy of the Daily Mirror was decided.